Last night (at sundown) was the first night of Passover; and Jews the world over gathered with family, extended family and friends to celebrate the first of two Seder meals. The cooking goes on for days and the night goes on forever (if you’re observant). It is a night of much food and much prayer. It isn’t unusual to still be sitting at the table at 10:00 or 11:00 pm. It’s also a time of major, and I mean MAJOR, clean up. 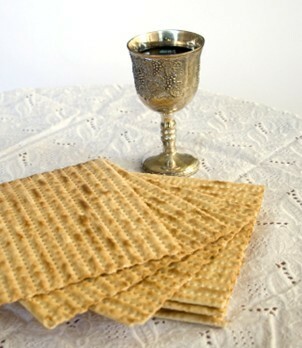 All food not designated kosher for passover MUST be disposed of. Every pantry, every cupboard has to be emptied. Same with the refrigerator. The kitchen has to be scrubbed, from top to bottom. As in, pretend it’s an operating room, kind of scrubbed. And everything in it, as well. As in the stove, dishwasher, refrigerator, Cuisinart, mixer, you name it. Lots of families (not mine) have separate china, cutlery and glassware for passover. And the ultra orthodox even have separate kitchens. Like I said, my family was not, and is not, observant. We did always gather together for a huge, family meal. One night at my maternal grandmother’s, the second at my father’s. Which was wonderful. It was always tons of fun. But that was it.